Mary was married at St Martin-in-the-Fields, London, on 27 October 1633. In 1637 she supported Anne Hutchinson, who preached that God "spoke directly to individuals" rather than only through the clergy. 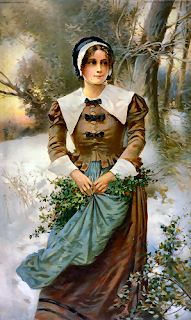 She joined with her and became involved in what was called the "Antinomian heresy," where they organized groups of women and men to study the Bible in contravention of the theocratic law of the Massachusetts Bay Colony. On October 17, 1637, after nearly four years of marriage, she gave birth to a deformed stillborn baby, whom she buried privately. Because she had sided with Anne Hutchinson in the Antinomian heresy, she and her husband were banished. They moved to Providence, Rhode Island. Winthrop sent descriptions to numerous correspondents, and accounts were published in England in 1642 and 1644. The deformed birth was considered evidence of the heresies and errors of Antinomianism. In 1652, they travelled to England, where Mary joined the Religious Society of Friends (Quakers) after hearing the preaching of its founder and feeling that it was in agreement with the ideas that she and Anne Hutchinson held years earlier. She eventually became a Quaker preacher in her own right. Her husband returned to Rhode Island in 1652. Mary remained in England until 1657. The next year she travelled to Boston to protest the new law banning Quakers, and was arrested and expelled from the colony. Her husband, who had not become a Quaker, was not arrested. Mary continued to travel in New England to preach Quakerism, and was arrested in 1658 in New Haven, Connecticut. After her release she returned to Massachusetts to visit two English Quakers who had been arrested. She was also arrested and then permanently banished from the colony. From there, she traveled to Massachusetts a third time with a group of Quakers to publicly defy the law, and was again arrested, but this time, she was sentenced to death. After a short trial, two other Quakers were hanged, but because her husband was a friend of the Governor, he secured a last-minute reprieve, against Mary's wishes, for she had refused to repent and disavow her Quaker faith. Mary was forced to return to Rhode Island, then traveled to Long Island, New York to preach, but her conscience led her to return to Massachusetts in 1660 to defy the anti-Quaker law. Despite the pleas of her husband and family, she again refused to repent, and was again convicted and sentenced to death on May 31. 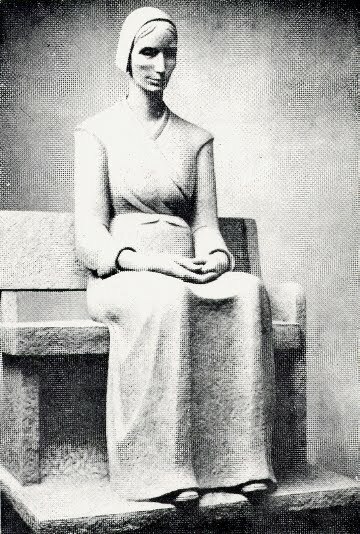 The next day, she was hanged on Boston Common for the crime of being a Quaker in Massachusetts. She died a martyr. Her execution is described by Edward Burrough in A Declaration of the Sad and Great Persecution and Martyrdom of the People of God, called Quakers, in New-England, for the Worshipping of God (1661). After her death a member of the General Court uttered one of those bitter scoffs which prove the truest of all epitaphs, "She did hang as a flag for others to take example by." A bronze statue of Mary, created by a Quaker sculptor, now stands in front of the Massachusetts state capitol in Boston; a copy stands in front of the Friends Center in downtown Philadelphia, and another in front of Stout Meetinghouse at Earlham College in Richmond, Indiana. This is a statue of my ancestor, I visited Boston in July 2010 and took a picture of the statue on the Boston MA State grounds. I,too, am a descendant of Mary Barrett Dyer. It would be interesting to correspond with you. She was my Great-Grandmother X 11ish. It was nice to have read I have yet, another relative somewhere. Betty J. Patchett, descendant of George Washington Stewart Anson. My Great- Grandmother also. Has anyone been able to find the name of the birth defect Mary's stillborn girl suffered from? I was skeptical when first reading Winthrop's describing of the deformities, thinking it I believe the claw s to be Ectrodactyly, which is the absence of one or more digits on the hands or feet, perhaps having just a thumb and one finger. 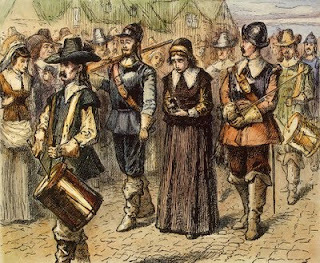 While immersed in ancestry.com, I discovered that my 10th great-grandmother, Mary Dyer, was a follower of preacher Anne Hutchinson, who taught that the Holy Spirit dwelt in a justified person. This teaching was considered to be "Antinomian", or opposed to law, heresy by the Puritan religion. So, I started googling Mary Dyer and antinomy...What a woman, my great, great, 10x great grandmother was and I have to agree with her...the Holy Spirit does dwell in the life of a justified person and it is through grace and grace alone that I am saved. Wow! What I learned today was that my great grandmother died as a martyr for her faith. That's pretty humbling! I am BLESSED! I just discovered that Mary Dyer is my 10th Gr. Grandmother. Not only was she a "Quaker Martyr", but she was a leader for religous freedom in America. It must have been horrible to be singled out for different beliefs in 1600's Mass. What an exciting discovery for you Martha! Mary Dyer is one of the most fascinating women I have written about. I have Italian roots and I've often considered researching my own family tree. Sigh, one of these days I will. Thanks for stopping by and leaving a comment.